Are you feeling the pressure of the holidays? Does your “To-Do List” feel like it is never ending? For most, the holidays can be a blur because we are so busy taking care of all the details that we forget to slow down and enjoy the reason for the season. This week’s Freebie Friday is a reminder to relax and take it easy every once in awhile. 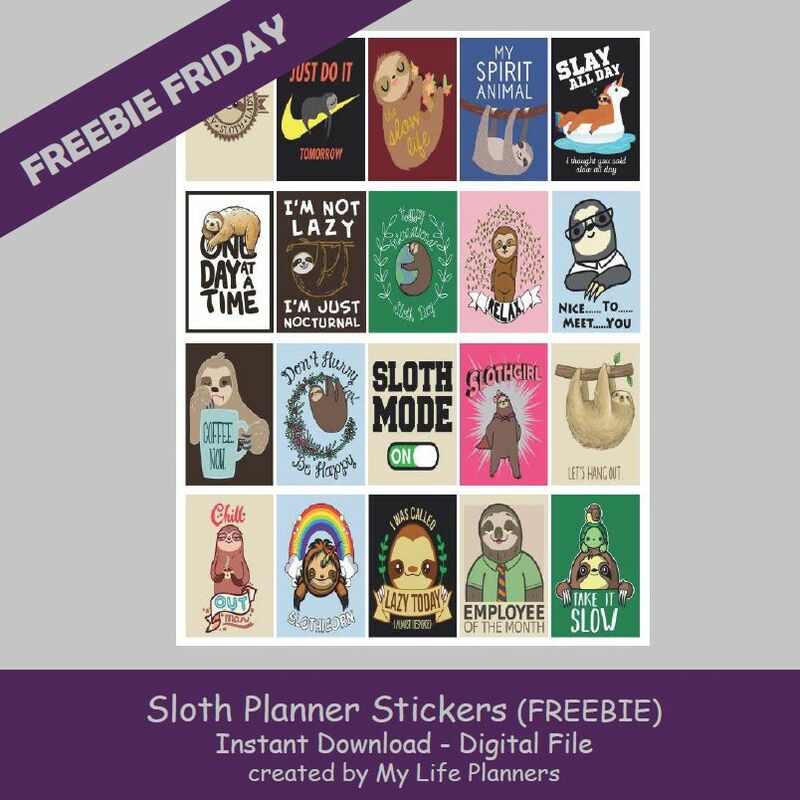 That is why the feature for this week is Sloth Planner Stickers. How can you not smile when you see that silly grin of a sloth? I have to be honest, my whole month of December feels like a sloth month.